Yellow colored handmade paper, which I make myself, covers this wood coat rack. Random length strips of paper are cut and adhered to the wood. 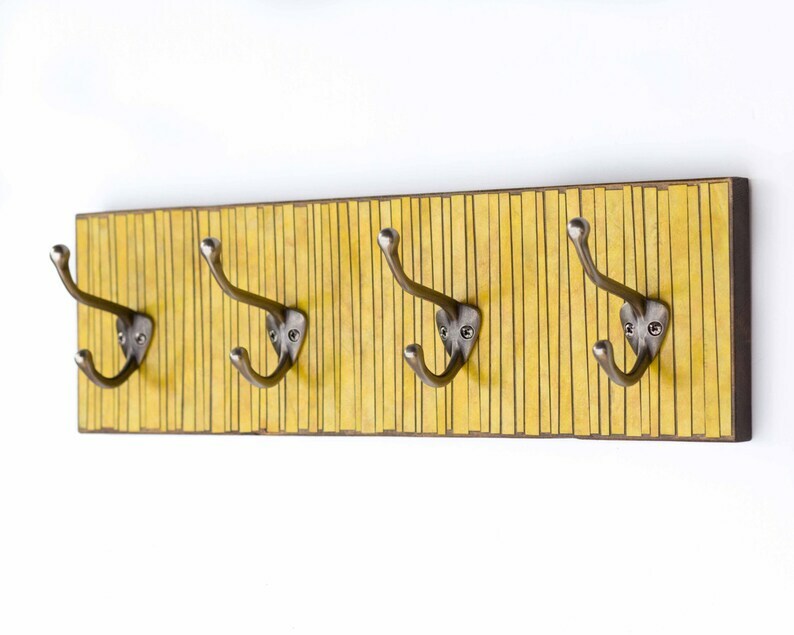 This yellow rack is simple, but very functional. Perfect a bathroom full or towels or back hall. Several coats of polyurethane have been applied for wear and protection so humidity will not affect the piece. Key hole hangers have been securely attached to the back 16" apart for added strength. Wall screws are not provided.